Photojournalism is my passion and my craft. As an artist, I enjoy telling stories through photographs. I will make the memories of your wedding day last forever, capturing all of the day's emotions, personalities and details. Having photographed literally hundreds of weddings, I've perfected the art of embedding myself into the wedding day seamlessly. CAN YOU HELP PLAN THE TIMELINE? Of course! (And I can be involved in this aspect as much or as little as you want!) All of my clients have access to their own Personal Client Planning site to enter event specifics – and I'll help you create a timeline and a portrait list that works best for you, making sure we capture everything. Given my experience over the past decade, I am comfortable with any schedule and in every setting imaginable! I have been shooting weddings professionally for more than 10 years, enjoying every moment and accumulating invaluable experience along the way. I'm always learning though -- and I enjoy staying current with new technologies and growing trends. WHO WILL MY PRIMARY PHOTOGRAPHER BE? 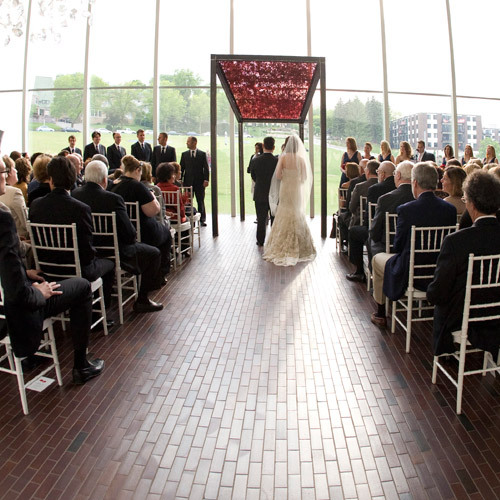 Carle is the primary photographer for all weddings. WHAT ABOUT AN ASSISTANT PHOTOGRAPHER? For many weddings, an assistant photographer works alongside me to help capture the magic of the day. All of my assistants are experienced and maintain the highest degree of professionalism. Yes -- for plenty of reasons. 1) Engagement sessions are a blast! We're simply going out on the town (or the countryside … or wherever you like) for an airy, stress-free photo session. 2) I do them for free. Again, no stress, just fun! 3) These sessions are great way for us to get to know one another better before the wedding. It's also an opportunity for me to see how the couple interacts in person and in front of the camera -- all of which will help me best capture images on the wedding day. WHAT DOES AN ENGAGEMENT SESSION INVOLVE? HOW SOON WILL WE SEE OUR WEDDING PHOTOS? Your photos will be ready 3 to 4 weeks following the wedding (hopefully sooner), usually depending on how busy my studio is and the time of year. HOW DO WE BOOK C. WENTHUR PHOTOGRAPHY? Send me a signed contract with a $500 deposit and your wedding date is guaranteed! DO WE OWN OUR IMAGES? Yes. Your wedding photos will be given to you as high-resolution images on a DVD, a flash drive or some other easy-to-use medium. You are free to use them however you wish (personal use). DO YOU OFFER REPRINTS OR ENLARGEMENTS? Yes, in all shapes and sizes! All photographs are printed professionally and are of the highest quality. If the prints are not to your satisfaction, they will be reprinted at no additional cost. WHAT DO YOU OFFER FOR FINISHED ALBUMS? WHAT IF WE END UP WANTING OR NEEDING MORE TIME ON OUR WEDDING DAY? No problem. Your event is the only event of the day. Overtime rates may apply if you actually add time on the wedding day. Yes, yes, yes! I've shot weddings internationally and across the U.S. (not to mention across Minnesota and the Upper Midwest). I've been fortunate enough to photograph weddings everywhere from northern Italy to northern Minnesota, as well as in Mexico. One of my all-time favorite ceremony shoots was in Ireland's Ring of Kerry, when I photographed a renewal of vows ceremony in Kenmare, a little town in southwestern Ireland! If you are planning a destination wedding, please call for a custom quote. Given that my own wedding was in Edinburgh, Scotland, and having already traveled extensively in Europe, Central America, South America and the Caribbean, I enjoy observing different cultures and I relish the chance to travel to exotic locales. I'm BEYOND thrilled to have you as our talented photographer. You have amazed me with your work, personality, family values and overall classy style. Carle has been with our family during our most precious times, and has captured those memories for us to cherish in perpetuity through her artful photography. Carle has repeatedly created collections of images that we joyfully revisit regularly; from our wedding to our daughter's baby naming, our eldest son's Bar Mitzvah to annual family photos. As the ever-changing landscape of our family dynamic continues to evolve, Carle captures it all for us to treasure forever. Carle is an artist, armed with a camera.